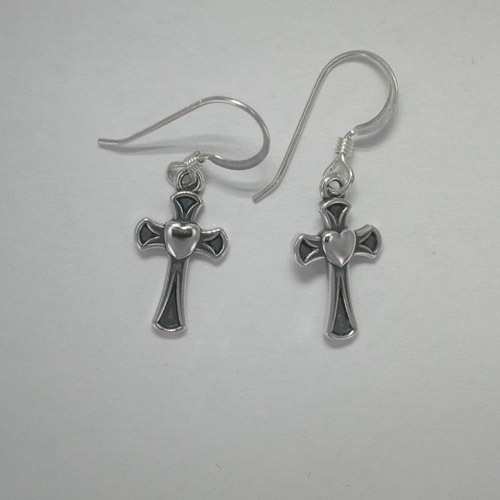 Desc: Sterling Silver small cross with heart dangle earrings. Each cross has a heart mounted in the center. Antiquing is mounted along the length of the cross. The earrings have bright polish finishes and are made in the United States of America.